​​​DAVID BRIGGS is a Bristol-based poet, musician and teacher. His album, Landscape and Liability came out with Unreal Records in 1999. Since receiving an Eric Gregory Award in 2002 he has published poetry in a wide variety of magazines and anthologies, including The Poetry Review and Identity Parade (Bloodaxe, 2010). His first collection of poems, The Method Men (Salt, 2010) was shortlisted for the London Festival Poetry Prize, and Rain Rider (Salt, 2013) was a winter selection of the Poetry Book Society. Between sitting down to write he has taught English and Creative Writing in schools and universities and for The Poetry School. ​His new book is Cracked Skull Cinema (Salt, 2019). David's third collection will be available from Salt in the summer of 2019. “This new chapbook from Maquette Press bristles with ideas that challenge the reader to hang on to the unravellings, encountering clever handholds of language along the visionary way." 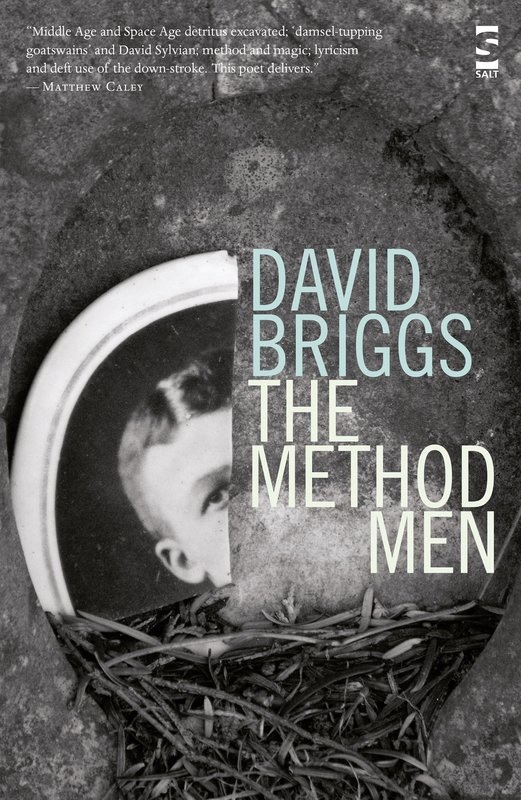 “Briggs’ work is full of moments of shock and awe, phrases and words that creep up undetected to catch you at the throat and rip the stillness from the room. You have to know you’ve read something special when a poetry collection ends with ‘Leave every door, every window, open. / Risk the night’s small teeth at your throat.'" It is very new poets like Maitreyabandhu and Kim Moore, poets of light touch like Janet Sutherland, and the secular visionaries A A Marcoff, Alan Stubbs and David Briggs, whose work most distinctively exhibits the kind of scope – in theme, flexibility of image, and movement of thought – Burnside permits ... These writers are recognisably Burnsidian in their use of the suspended grammatical phrase and ‘floating’ imagery to evoke the undetermined nature of experience.